NEW DELHI: The Supreme Court has issued notices to the West Bengal government on a petition filed by the BJP challenging the decision not to allow it to hold yatras in the state. The BJP had moved the vacation bench of the SC, challenging the WB government order that had put on hold its proposed yatras to be conducted in the state. The Calcutta High Court had reviewed its own decision, while putting the yatras on hold. A Division Bench of the Calcutta High Court had said that it would review the order of the single judge, who had permitted the BJP to undertake the yatras in WB. The matter came up for hearing last week, before a larger bench headed by Chief Justice Kargupta, and the case was sent back to the single-judge bench with instructions that it considers 36 intelligence inputs provided by the state administration before taking a decision on the BJP's 'rath yatra' in West Bengal. Following the order of the single judge, The Mamata Banerjee-led government had approached the Calcutta High Court. 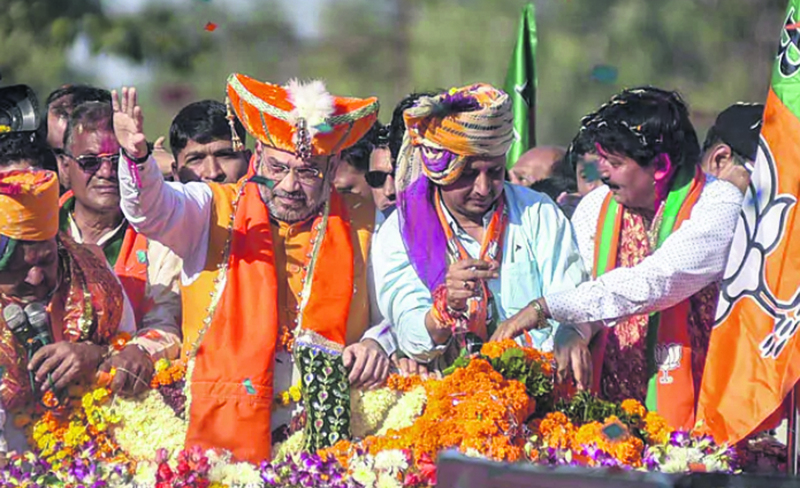 It had challenged the order of the single judge which permitted the BJP to hold Rath Yatra rallies across the state as part of its 2019 Lok Sabha campaign.